It takes a lot to get the two of us out of bed on a Bank Holiday Monday but, bleary eyed and a little dazed, we found ourselves doing just that this week as we were up at the crack of dawn and heading towards Cabot Circus for the launch of the Candy Kittens Pop Up shop. Yeah boi! 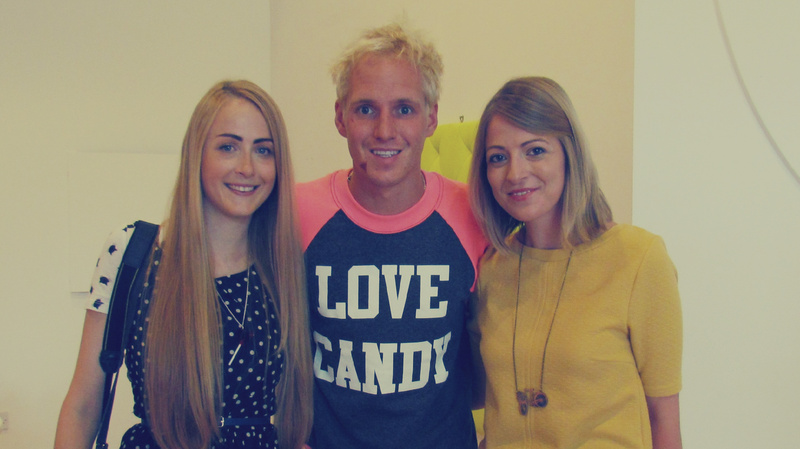 For the uninitiated, Candy Kittens is a confectionery company, pioneered by Jamie Laing of BAFTA winning Made In Chelsea fame. Jamie definitely fancies himself as a bit of a modern day Willy Wonka and wants to make candy cool again by marketing it towards young people. Although it primarily markets itself as a confectionery business, Candy Kittens also has a flourishing fashion line and judging by the shoppers we witnessed, it’s very popular! You can also find such things as iPhone cases, beach balls and pencils nestled among the sweeties! All of which are all emblazoned with the Candy Kittens logo or one of Jamie’s often spoken catch phrases from Made in Chelsea. There is such a great variety on offer that it’s actually a bit of a one stop candy-cane pink lifestyle shop and it works perfectly with Jamie’s energetic personality.